LYZX-18 low-temperature oil press is a new type press jointly developed by our company ,which is very suitable for pressing oilseeds and high added-value commercial crops. Such as: hulled rapeseed kernel, peanut kernel, soybean, olive, walnut kernel, maize, rice bran, tea seed, safflower seed, sea buckthorn seed, chinaberry seed, rubber seed, chinese prickly ash seed, tomato seed, watermelon seed, grape seed, flaxseed, scabish, hot pepper seed, castor bean, orange seed, cacao bean, coffee bean, perilla seed, almond, peach kernel, hip and so on. This oil press has many advantages as follow: low temperature of oil in pressing, high oil yield, low rate of residual oil in cake(meal), the oil pressed by it not only has light colour, but also has good quality to be rich in nutriments. Its quality is in accordance with international standard. 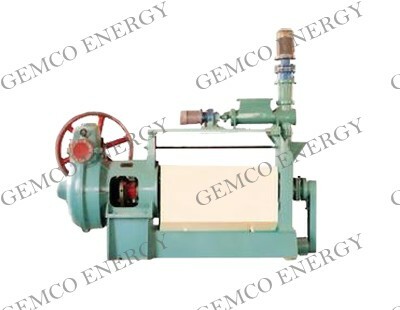 ＊ Oil produced by low temperature oil press is light-colored, and it is rich in nutriments. Can be produced pure natural oil production by depositing. Low refining cost and loss. ＊ Protein in pressed cake is of high quality, it is in favour of making full use of the protein. ＊ No any chemical substances, such as: solvent, acid, alkali, bleaching earth, chemical additive are used in the process, so the loss of nutriments in oil and cake is very less, and the protein content in cake(meal) is very high.